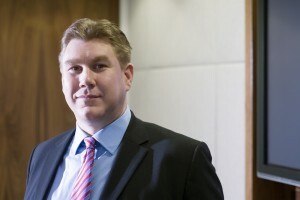 After leaving the specialist insurance practice of one of the Big Four accounting practices and gaining international experience in the reinsurance and insurance industry, Jason Tuckley consolidated this knowledge by becoming the finance manager of a major US company’s London office. Jason has considerable experience in systems development and implementation and was instrumental in migrating one insurer to a new underwriting and reporting system. Key areas of focus for Jason have been problem solving, control enhancements and providing automated solutions. Most recently he managed the administration and closure of a large US book of Workers Compensation business and successfully negotiated numerous commutations, developing extensive statistical modelling and providing high-quality litigation support. His current emphasis is on consulting assignments for clients seeking services such as portfolio management, outsource servicing of (re)insurance administration, process management, data interpretation and data analysis. Jason was instrumental in setting up ISG in the US, and is based in Richmond, Virginia. He plays an important role in developing the our service provision to the US and Bermudian markets.